When searching for a YouTube alternative, it is hard to know what company to put your hard earned money into. In recent years, Wistia and Vimeo have emerged as the top alternative video hosting sites to YouTube. Wistia is primarily a site for businesses and marketers, while Vimeo is a site known by professionals as a platform for creative content. I have previously stated many of the pros to Wistia in my article Wistia vs. YouTube, but below will state the pros and cons of both Wistia and Vimeo. Up to 20GB of HD video storage/week, with no additional bandwidth limitations. No Bandwidth caps or time limits. This is a huge Pro because your video will never be blocked because too many people have seen it. Password Protected Video Editing pages. URL restrictions which can make your video not possible to directly embed on another site without giving you credit. Excellent support (1-hour email responses). Sell your videos with Vimeo On Demand. A film school with video production tips. Upload an unlimited amount of HD videos. No video heatmaps or business focused video analytics on where in the world your video is being seen. The statistics and analytics are much more elaborate compared to Vimeo. Wistia will create a video site map for you. Help video tutorials if you get stuck. Email marketing and clickable call to actions. The ability to edit and revise hosted videos without having to edit the embed code on our pages. Focus on less videos—Because the Free account only lets you post 3 videos a month it forces you to be more conservative with when and what you post, unless you want to pay for the full service. Weak community and brand recognition among video professionals (producers, designers, etc.). The decision between Vimeo and Wistia relies on what you wish to use your videos for and your budget. 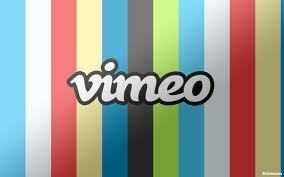 Vimeo is usually considered the better option for creative videos or if you want to sell access to your video. Wistia on the other hand is primarily directed towards marketers and businesses who want to know how effective their ads are. Vimeo Pro at $200 a year is a much cheaper option than any of the Wistia options (besides the free account that only covers 3 videos a month). Realistically for Wistia, you are looking at paying $300-$3600 a year. 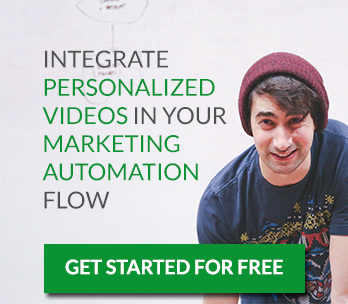 If your budget can afford that then the video analytics Wistia offers such as the heatmaps are well worth it. Wistia’s analysis will improve your sales by showing you what parts of your video are keeping customers engaged and what parts are not. No matter what video hosting site you choose, Sezion will help you automatically create personalized videos for every customer, content and occasion. How about a demo? Are you a Vimeo or/and Wistia user? Please let us know your experience! We want to read and share your comments! Web video videohosting, videohostingsite, videosites, vimeo, vimeovswistia, wistia, wistia vs vimeo, wistiavsvimeo, YouTubeAlternatives. permalink. I’m a big fan of Wistia and use it both for internal and external video. The analytics are great for seeing how effective your videos are and if your team is watching the internal videos at all! I just wish there was a super smooth way to upload into Wistia from Camtasia. 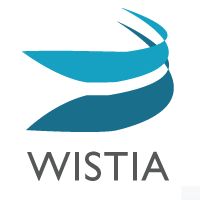 Here’s an example of a Wistia video I did for fun on the topic of Camtasia support for Wistia. Hi Chris! Maybe that can be done via API. I think both services offer an API. Thanks Amber! Does it offer complementary analytics? you can easily integrate google analytics code to track visitors… recently I have a discussion with their support team and they said they are planning to add this feature within Julbul’s dashboard. BTW have you tried their service? That didn’t answer the question? Can Wistia allow you to sell videos online? Vimeo is a bit expensive if you are just starting out. hi! can I use wistia for monetizing my videos and embed them only on my site and sell them only to those who paid for them? vimeo pro is too much expensive… thanks for the review! websites, almost covering all the popular sites. I have been always a true disciple of wistia and vimeo as well, but something has evoked in my mind in recent time, that it’s not always possible for startup to spend a certain amount of money for video marketing as there’s always a squeezing monetary factor comes to play. sneaking here and there i have found a tool which i would apparently love to share for the marketers, Which can be pretty handy for wordpress site to generate unlimited leads through Video-Opt in technology, as It has the unlimited freedom to put CTA, unlimited Opt-In and also one can publish unlimited amount of videos. Thanks for sharing it with us! Are the videos hosted by them? Is there a bandwidth limitation? what does https support mean? HTTPS is stands for HyperText Transfer Protocol Secure. HTTPS support means that the ‘plain text’ communication of a website is encrypted to increase security. Does Wistia allow you to to do Video on Demand like Vimeo? Can you sell your videos online and get paid like Vimeo offers with their VOD? Hope you have an answer thanks.